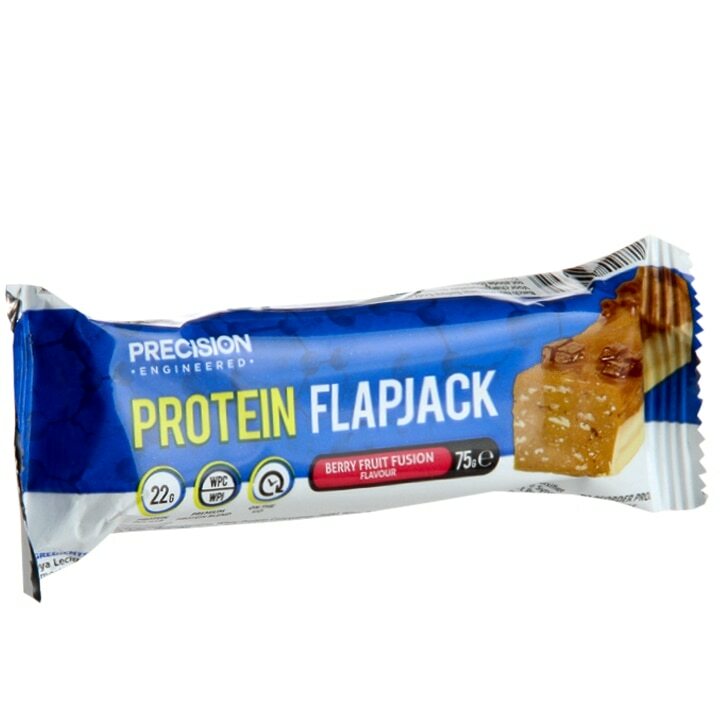 Precision Engineered Protein Berry Flapjack is rated 3.5 out of 5 by 6. Rated 2 out of 5 by Bashers70 from A little disappointed If you want a cheap source of getting a protein hit; a tasty snack, then this is a bar for you. I have no idea how it can be called a flapjack? The consistency of the bar is more akin to a soft, chewy toffee. Watch out if you have fillings. Rated 5 out of 5 by nickyy30 from Great guality, great taste, not too sweet , it works for me !